Island Life. Harper and brothers. Darwinism: An Exposition of the Theory of Natural Selection, with Some of Its Applications. Macmillan. Chisholm, Hugh, ed. (1911). 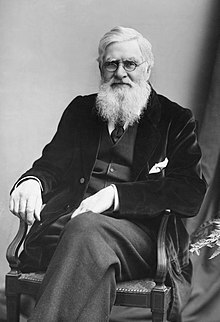 "Wallace, Alfred Russel". Encyclopædia Britannica (edisi ke-11). Cambridge University Press.